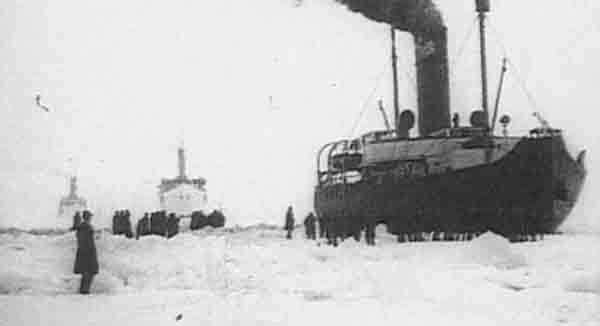 The steam icebreaker S/S Bore was launched on 17 November 1894. 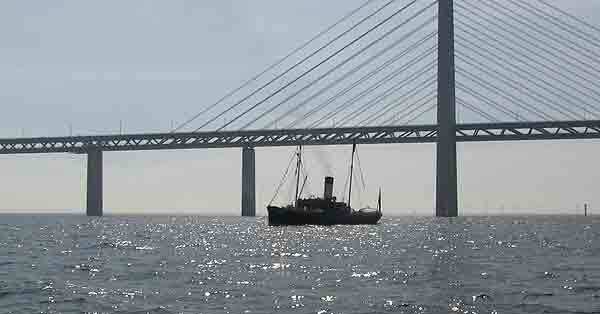 She was built by Kockums Mechanical Works in Malmoe Sweden on on behalf of the city of Malmoe. 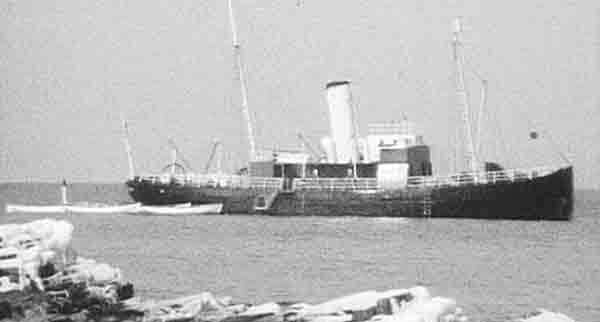 Her primary task was as an icebreaker in the Oresund Channel, but also as a replacement ferry in icy and difficult conditions. S/S Bore is today considered the oldest steam powered icebreaker in the world that still runs on her original steam engine. 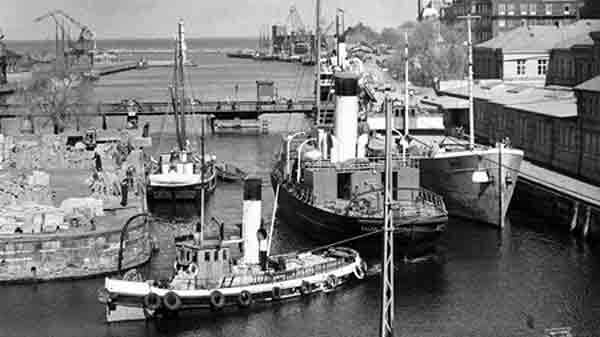 The first really cold winter for Bore came in 1895 when no regular ferries were able to operate the rute to Copenhagen. Her maiden voyage took 11 hours and she carried 88 passangers to Copenhagen. According to reports the passagers could “enjoy life on board in the luxurios salons, where they could dine and dance to their hearts content”. 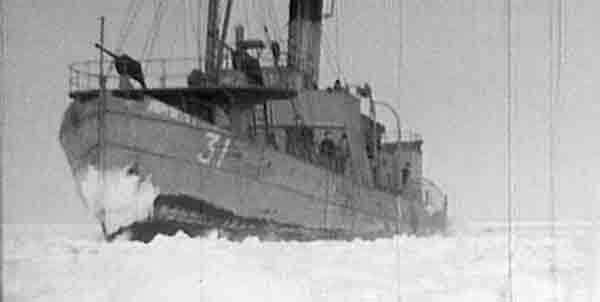 S/S Bore was in active service for nearly 75 years and served during this period even as a gunboat in both world wars. She can also be seen in Jan Troells film, “The Flight of the Eagle”, about the swedish polar explorer Andrée, based on P.O. Sundmans novel. When Bore was finally taken out of service in 1968, the reason was not insufficient capacity as an icebreaker rather than the high cost of maintenance and the advent of new technology. After many years of neglect in the Malmö harbour the threat of demolition was getting ever more real. Bore was however saved in 1983 when Swecox International AB, under the guidance of Knuth Borg bought her from the City of Malmoe. She was first towed to Stockholm to finally end up in Västerås. An enormous restauration work commenced in 1984 which was made possible by a large number of enthusiasts and skillful craftsmen. 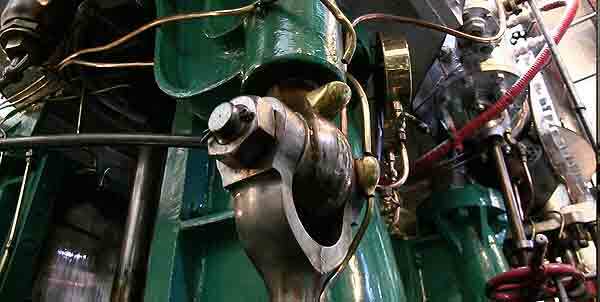 Bore is today in as good shape as the day she was launched. The good condition of the hull, boiler and the steam engine was the main reason that the restauration could take place at all. The entire interior was dismantled piece by piece, refurbished and finally reinstalled. Great efforts were made to locate parts and missing pieces that had during the decades been lost from Bore. Original parts that no longer could be found were retrieved from other similar vessels and the parts that still were on Bore were carefully but thoroughly restored. In the end a handfull of items were made from old photograps and descriptions from former crew members as a guide. Bores engine is a 2-cylinder steam engine that produces 605 hp during normal conditions but can be temporarily compressed to 650hk. 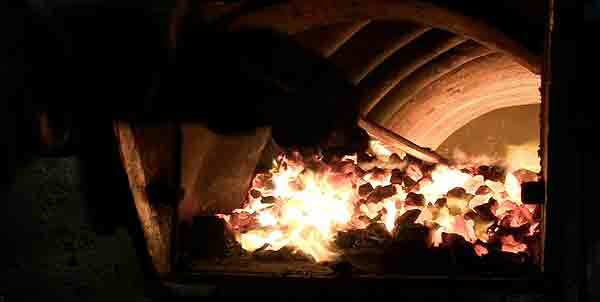 The boiler is from Skottland with natural draft and a heating surface of 180 square meters. The average speed is 8 knots. As an icebraker Bore can steam through up to 30 cm thick ice without slowing down and brake through pack ice up to h 3 meters thick. She is also equipped with a bilge pump with a capacity of app. 600 m3 per hour. After 16 years of restoration, renovation and reconstruction to original condition, Bore made in 1999 her longest journey on her own power when she returned från Västerås to Malmoe. This former icebraker was one the first vessels that sailed under the then recently completed Oresund Bridge when she returned to her home port of Malmoe for a life in public service. However, the timing was not right and after a few weeks Bore was forced to leave Malmoe again. After another 13 years in Västerås she would return to Malmoe. Conditions had changed and this time the City of Malmoe was able to greet her with open arms. Where else would she be after all these years but in her old home port where she was built and served her active life.